WISSOTA Street Stocks are the most “stock appearing” race cars racing under the WISSOTA banner. They feature a steel, stock appearing body most often Chevrolet Monte Carlo or Grand Prix styles from the late ’70s and early 80s, when “metric” framed cars were predominant. Under the hood you’ll most often find an engine anywhere from 307 to 350 cubic inches with limited rules that help to keep horsepower and costs contained. WISSOTA Street Stocks run on Hoosier E-Mod racing tires and the class is considered an entry level division, although many of the drivers in the class are very experienced, accomplished and talented. WISSOTA Super Stocks appear, on the surface, similar to Late Models. The casual fan can tell the difference quickly by noticing the tires are much thinner, and Super Stocks do not have a spoiler on the rear deck of the car. Engine rules mandate a maximum of 360 cubic inches in the Super Stock division, and competitors in the class are limited to a 2 barrel carburetor. 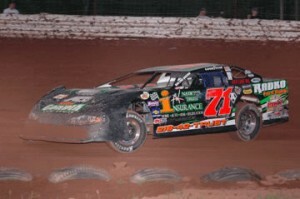 There are chassis limitations placed on competitors in the Super Stock division, so the cars are not as tuneable or exotic as those in the Late Model and Modified divisions. The division is known for parity and the competitors provide very entertaining competition for fans at many WISSOTA tracks. Super Stocks also run on the Hoosier E-Mod tire in the WISSOTA region. WISSOTA Modifieds are sophisticated, high powered, open-wheeled race cars. As the name implies, they are radically “modified” from their stock status. 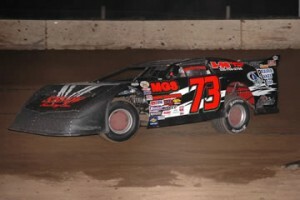 The easiest way to identify a WISSOTA Modified is the lack of front fenders along with a spoiler on the rear of the car. You might also see the left front in the air, similar to the Late Models explained above. WISSOTA’s Modified drivers may choose to run a 360 “Spec” engine that is not subject to a competitor’s claim or a larger engine, up to 406 cubic inches, that is subject to certain claim procedures after each feature race. 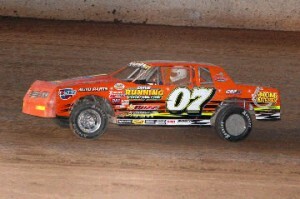 The chassis and suspension is very advanced and highly tuneable to meet the needs of the driver’s style or track condition, and the vast majority of Modified racers in WISSOTA choose methanol rather than gasoline for a fuel. 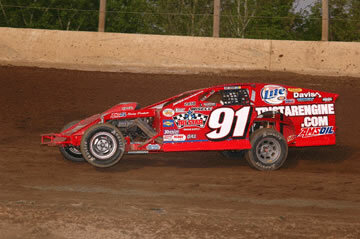 Nationwide, Modifieds like those in WISSOTA are probably the most populous of all dirt track racing divisions. WISSOTA Modifieds run a Hoosier racing tire called the E-Mod.